A while back I wrote a blog post about a professional failure.I had a business which I had to shut down after 7 years (language school). Today, I am going to share with you the questions I asked myself and helped me pull the plug on my business. Letting go is not easy. If you own a business and are torn between whether you should keep on going or whether you should just turn a new leaf, then this post will help give you a better perspective. I have been there, done that, and am fine. So, let’s talk about the questions you need to ask yourself if you have a sinking boat as a business. Why is my business failing? Why am I thinking of closing down? Is there something I can try? What? How does my business make me feel? Why do I have it? When I work do I feel happy and productive or do I feel a weight on my chest? Do I feel depressed because things are not going the way I want them to? My answer: When I first started my business, I was on cloud nine. Money was not a problem. The fact that I wasn’t making much was OK. I had my business. After a while though and as debts kept piling up, I thought to myself, ” What else can I do?” I have tried everything I can possibly think of (and afford). Going to work felt like a burden. I was giving my heart and soul to work. I was trying to be the best teacher ever, but the number of students was not enough. I started hating my job. Hating going to work. I started to feel undervalue and sorry for myself. Why do I keep going? Give reasons as to why you still have the business. Write down the reasons. How long can I take it (moneywise and emotionally)? Does my business feel like a burden or not? When will I shut down? Why then? My answer: I stuck to my guns for 7 years. The first 5 were OK (-ish), the last 2 I felt miserable. I had one foot out of the door. It was a burden. who will lend me the money? how will I pay back? when will I pay back? My answers: I was making money to cover my winter expenses, but every summer my language school was shut and that meant I had no income. Then the tax laws in Greece became even stricter and the bills just kept piling up. I had to do a different job in the summer, to make ends meet. If I close down, what will I do with everything I have bought for my business? Am I going to put things on sale? Where/how? Will I be able to store things? My answer: When I shut down my business, I did not have a plan as to what I was going to do with all my school’s furniture. Two years later, I still have everything stored in an old building. All the desks and tables are just laying around. This is such a waste. Learn from my mistake. Thinking about the future: If I do shut down my business, what am I going to do? What’s my plan B? If I don’t have a plan B, maybe I need to start thinking of plan B. Do I have transferable skills? How can I use them for something else? Think of your skills/talents/certificates: how can you use them when job hunting? Do I start telling people I am looking for a new job? My answer regarding skills/qualifications: I am a teacher and I teach English. I also like writing. I started blogging. I like arts and crafts. I started making paperclips (someone asked me if I would be willing to sell them. Would I?). My degree made me look for other degrees/certificates that would help me become more qualified. I looked into teaching qualifications. I already had a BA in English language and linguistics. I also had an MA in Teaching English as a second language.I had to look at other things I could do cause I knew I still wanted to teach. I got a diploma called the Cambridge Delta. With that I can now teach anywhere in the world. It has also opened the door to teaching at UK universities in the UK (that’s what I do now). Knowing when to let go is really hard because you make a financial investment as well as an emotional one. Failing at something is not easy either. My advice is that if you are in my shoes, take a big breath and really think. If this is not making me happy anymore, then it needs to stop. 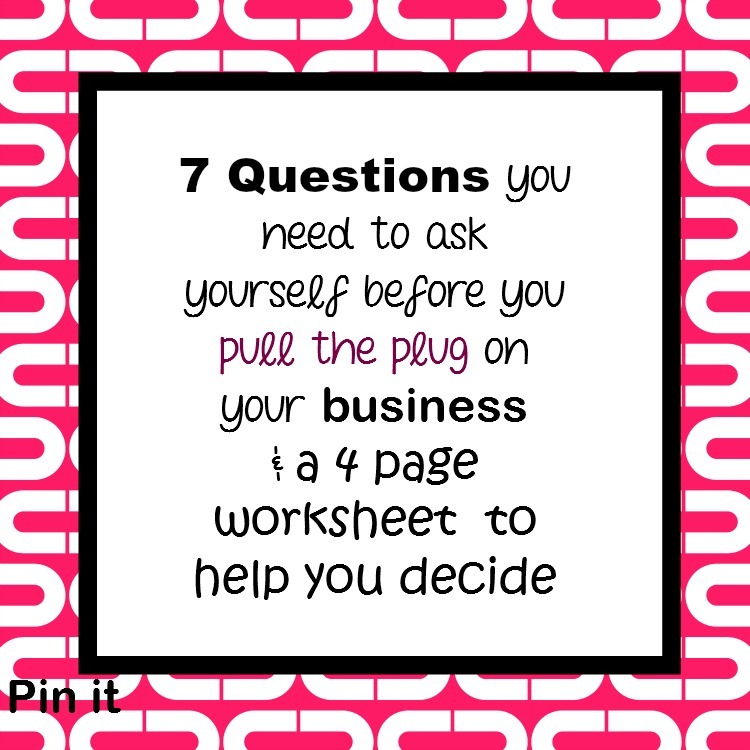 All the questions I have posed are on this 4 page Pdf file, which you can print, think about and make notes on. If you found this post interesting, you may want to check out my post about what I learnt from being a failure. If you are feeling a bit more productive, you may want to have a look at the Eisenhower matrix and productivity. Tell me your story in the comments section below. Please do subscribe to my blog if you liked what you read. I blog about life, beauty, planning makeup and all the stuff that make life beautiful. Maybe give my Facebook page a ‘like’ so you can get notifications of when I post :D? Connect with me on Pinterest / Twitter/ Instagram. Please ‘pin’ this post if you enjoyed it. « What are you doing today? How about making a time capsule?